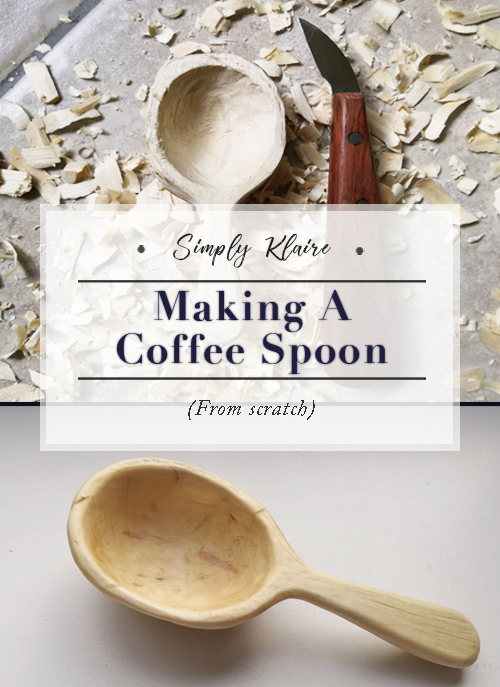 One of the projects I’ve been wanting to start for well over a year now is to make a coffee spoon. 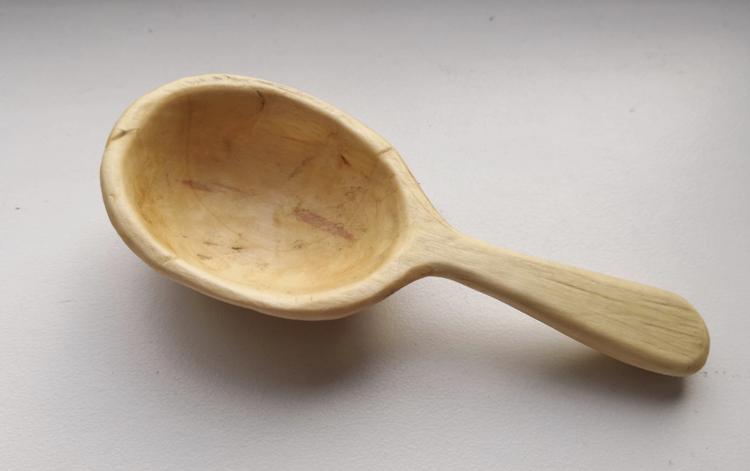 Something wooden, handmade and made by myself from start to finish. Now, I know that might not sound like the most interesting project of all time, but I wanted to see if I could do it, and I thought it would be a nice gift for Corazon, who is a big coffee addict. 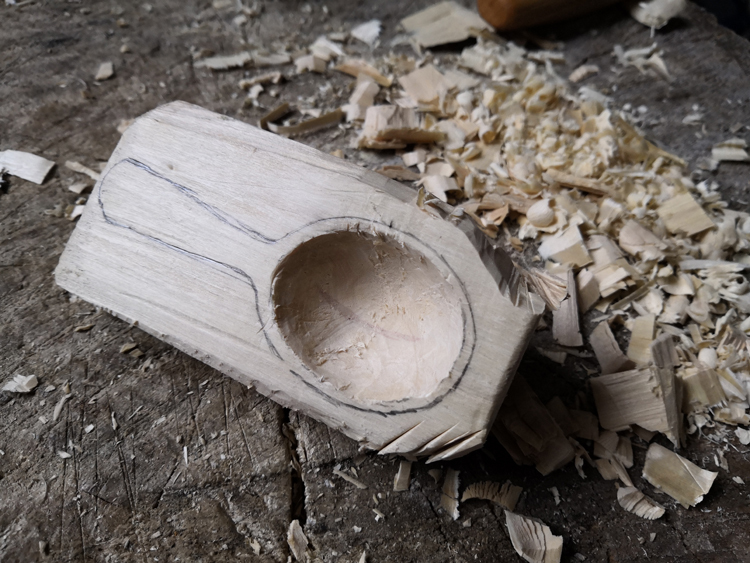 I started off with a piece of poplar. 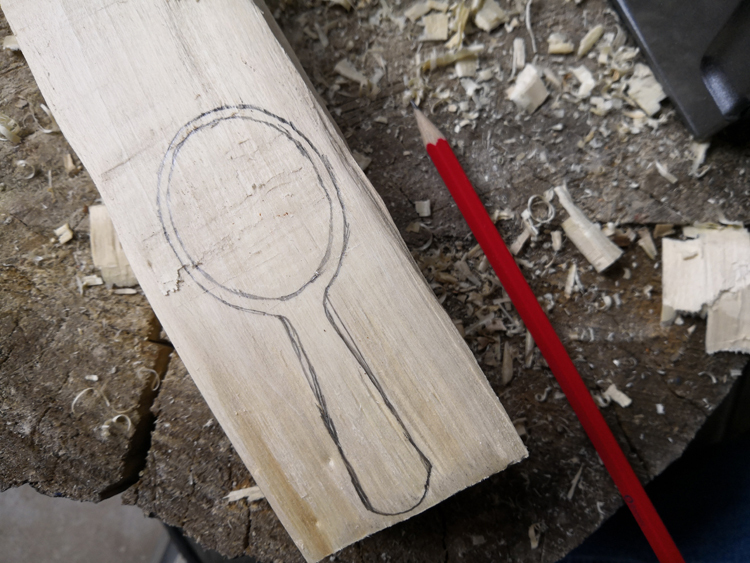 It’s a light, easy to carve wood – no way was I going to start with a tough hardwood like 0ak – and outlined the shape I wanted. After having the two tools I used for this sitting in my tools draw for over a year I was really excited to finally used them. 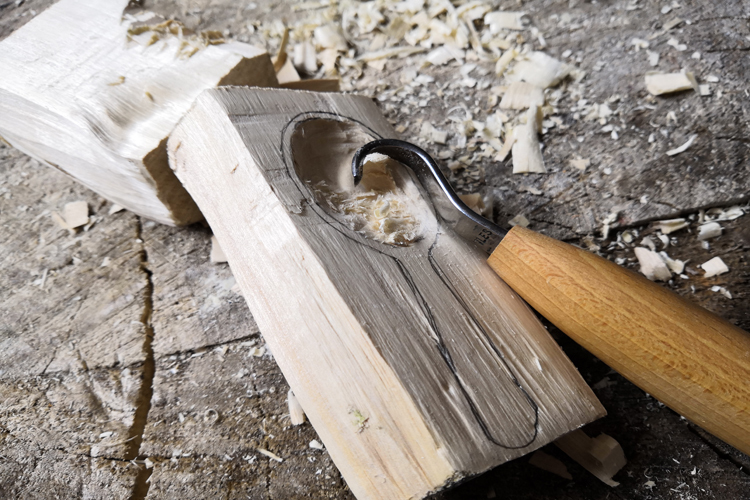 Especially the crook, which was quite unlike anything I’d ever used before. It really was like trying to use a lethal ice cream scoop. 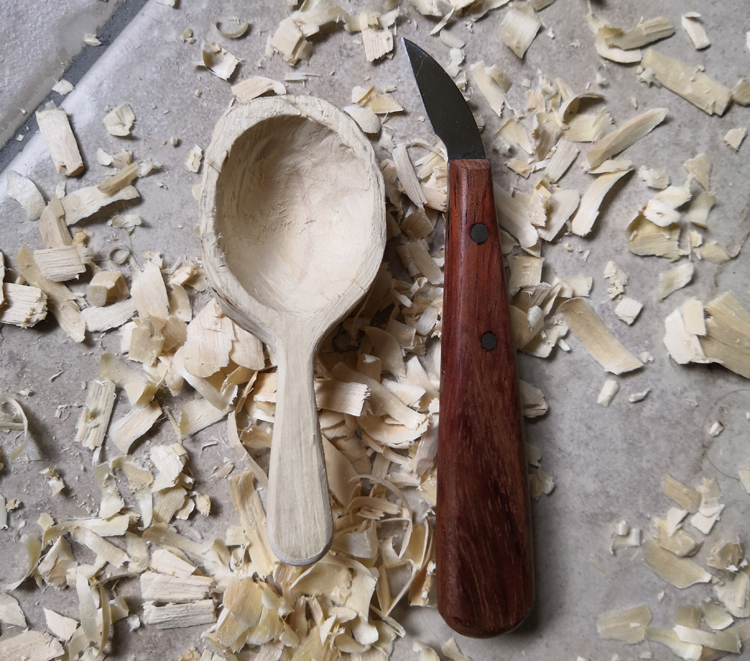 Took a while to get the technique right, but once I did I was able to hollow out the spoon bowl really quickly. My little potato (not his real name btw, just a nickname) getting a little curious and needed to see what I was doing. Or rather, demanding attention and growling at me to pick him up…or else. 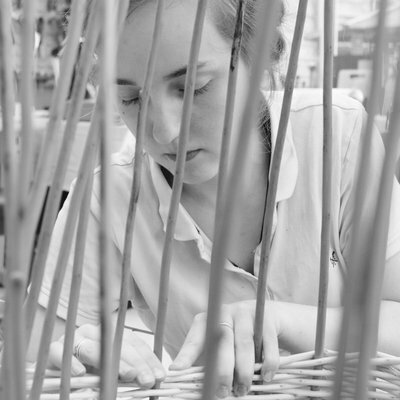 This part is easily the what took the longest in the whole process. Really, what I should have done is cut up the outline from the start. It would have saved me hours of time, but given that I didn’t have any tools to do that, I just had to work with what I had. 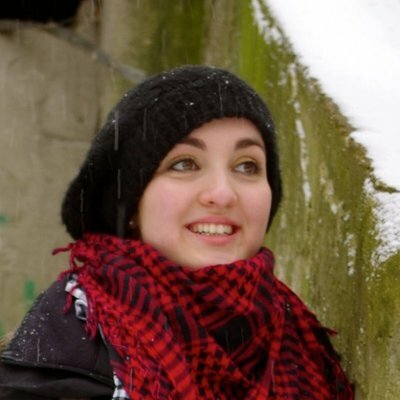 Oh, and this is where it went wrong. This is what happened when your little one is in the same room, decides to practice a blood-curdling shriek. He yelled, I jumped, screamed, saw what I’d done to my hand and screamed again. That white cloth got absolutely soaked with blood. 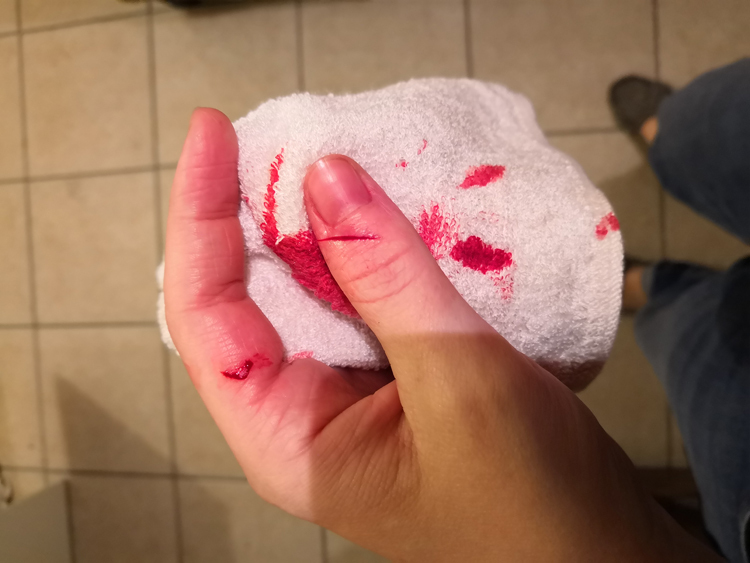 On the plus side, I now have a pretty cool scar on my finger – affectionately named the potato scar – and I got to test out stain removal with conker washing liquid. (I’ll have a post and a video about that soon). 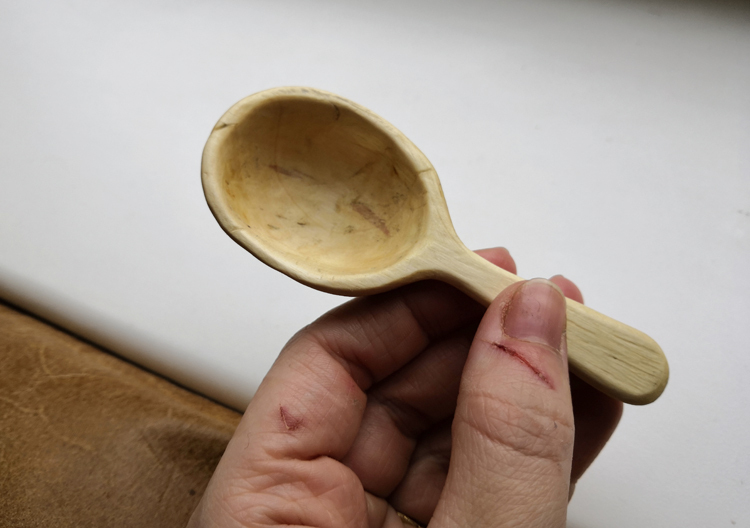 After I’d carved it as much as I wanted I took a fine grain piece of sandpaper and spent a good hour smoothing everything out before I finished it off with a few layers of my homemade polish. 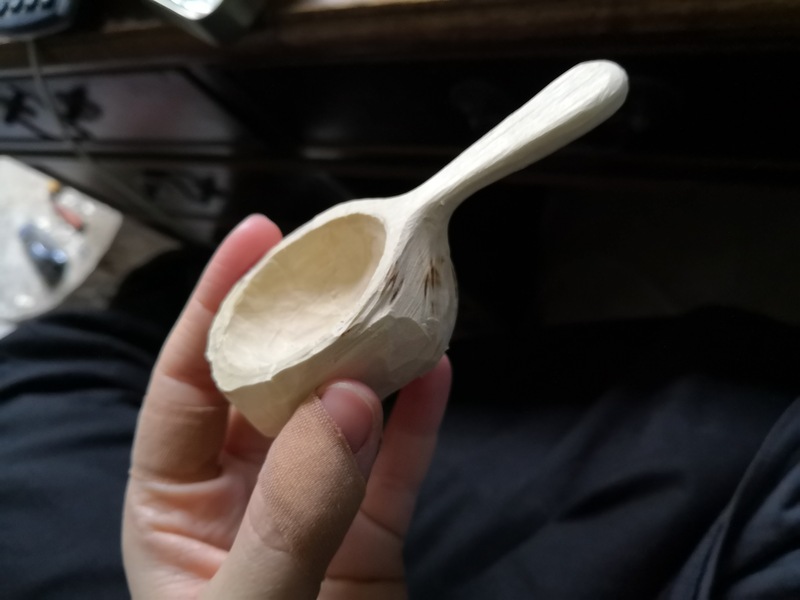 Finally, three days later, I finished making the spoon! 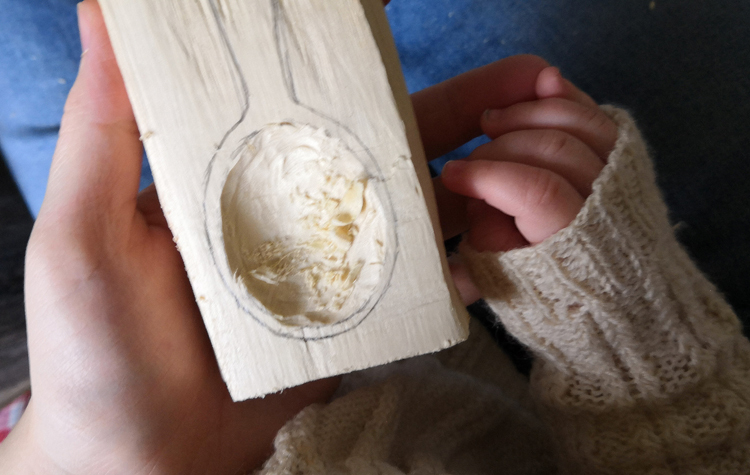 Normally it shouldn’t take me so long, especially with something this small and with an easy-to-work-with wood, but the little overlord (Potato) decided a spoon having my full attention was completely unacceptable for more than 20 minutes. Eventually, I managed to finish it, and I’m a little irrationally happy at how it turned out. Sure, it’s a little uneven and you can tell where I missed in a few places. But I made it, and it’s nice knowing I can make things like this from scratch, even if they do finish up less than perfect.